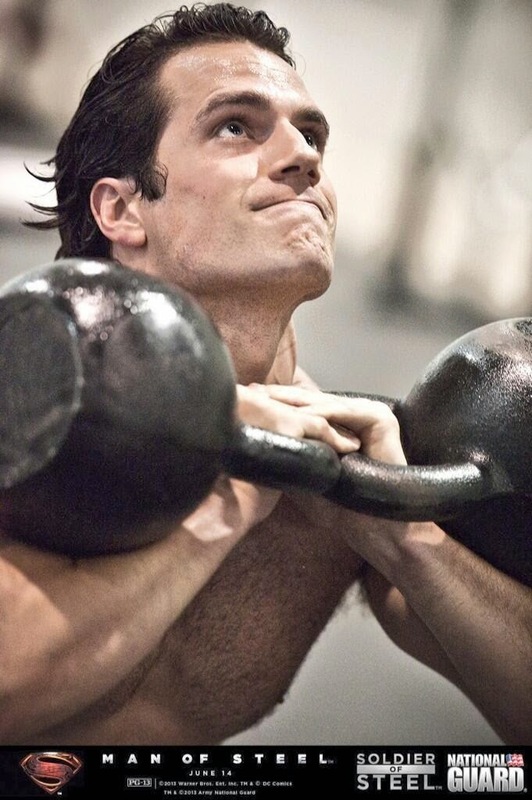 UPDATE 11/5: yeah.. life is not fair..
Training next to Henry Cavill. Sometimes I love my London gym. So Henry kind of spoiled us by posing with all. these. fans. at gyms in and around London in the last few weeks. While we didn't get a picture today.. booh! 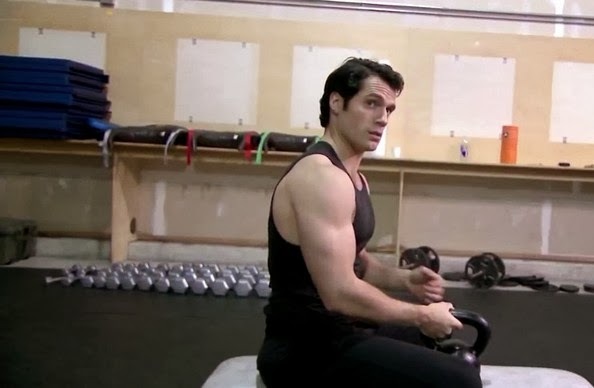 - the athlete who tweeted the sighting, did share that Henry was working out with kettlebells when he saw him at the gym. And then we thought.. oh! we don't need a pic when we get to see him using them in the behind the scenes included in the Man of Steel Blu-ray. Okay, we lie.. it would have been nice to get a new picture, but this preview (via) more than makes up for it. Or this one. And if these images look familiar, it's because they were part of the National Guard's Soldier of Steel promo released over the summer. This photo was taken by photographer Clay Enos..
We figured Clay would be back to shoot Henry for the Man of Steel sequel, and his following tweet and pic from a few days ago, all but confirms it. So bring on Batman vs. Superman, we can't wait to see you again Clark.